Imagine if someone told you about 10-20 years ago that you would be able to carry thousands and thousands of songs with you and even use an affordable and excellent speaker without any cables to listen to these songs everywhere you want. You would probably think that that person is crazy, right? 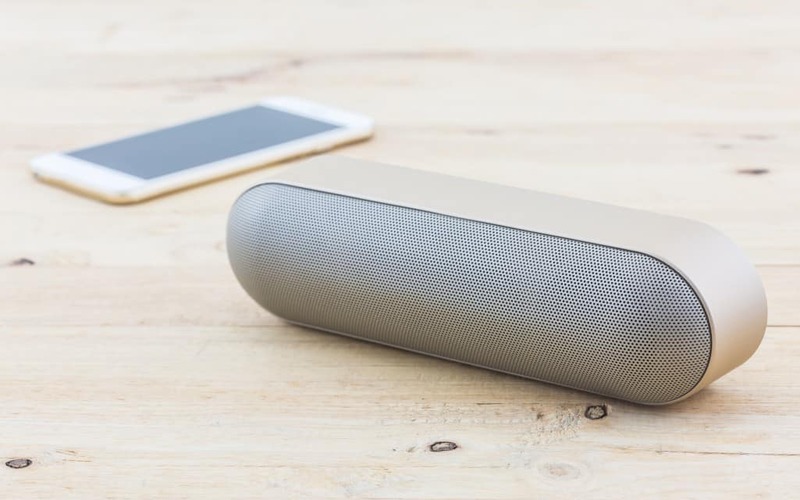 When we decided to write this article, we have made a decision to test around twenty different portable speakers. Based on the results and our own impression we have chosen the best five for this article. So, let’s begin! We have to say that this speaker is a pleasant surprise. The first thought was that something so cheap and small would be a real disappointment. Luckily, the sound of Sony SRS-X11 was perfect for the casual listener. Don’t expect an outstanding bass here, but the sound is great. As for the battery life, we were impressed with the 12 hours use. We also have to point out that this speaker is really cute and quite portable. Another surprise was that there is an option to connect two speakers and get more volume and stereo sound. For the money you spend here it is a really nice feature. 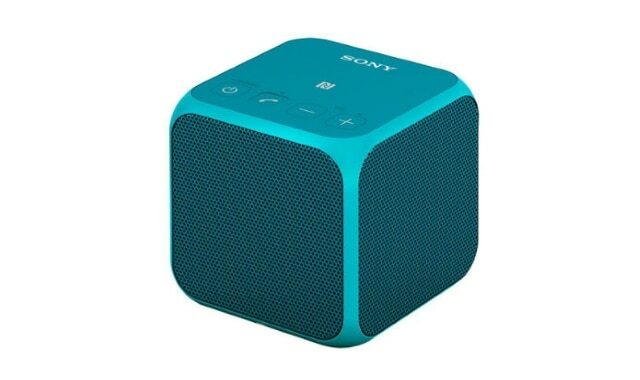 At the end, really compact and portable speaker, and above all very affordable! 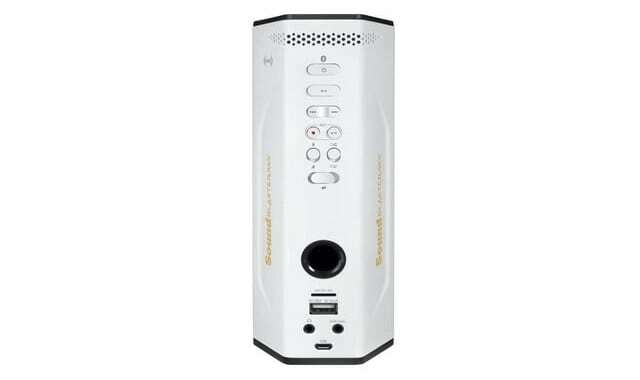 The first thing that caught our attention here is the really cool name – Creative Sound Blaster AXX 200. The MicroSD slot was another thing that caught our attention and we had to test it. Loading the card with some MP3s and playing them on the speaker was quite easy. There are some interesting output capabilities where you can use larger external speakers to play your music. The device also comes with a recorder, so if you need to leave some voice memos for yourself, you can use this feature. When used with the speakerphone, you can easily record your calls. This also allows you to use it as a karaoke speaker. We just fell in love when we first saw this beauty. Being elegant and rigged at the same time, the red flag with the name of the company, the texture on the plastics – everything gives it a perfect look. You would definitely put it on your shelf. There are also two other versions – the “Tough XL” and the “Sport XL” version. However, these are not attractive as this one. We have to mention that it’s waterproof, which is always a nice feature. The battery life is amazing – 35 hours. The speaker has eight drivers which makes the sound pretty cool and powerful. We were also impressed with the bass. The only downside was that I would really like it to be a bit louder and the sound quality of the speaker to be a bit better. 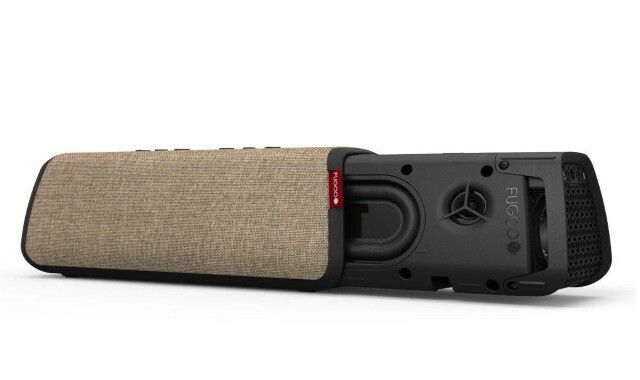 However, you won’t be disappointed with the Fugoo Style XL speaker because it’s pretty good-looking, and the sound is phenomenal. 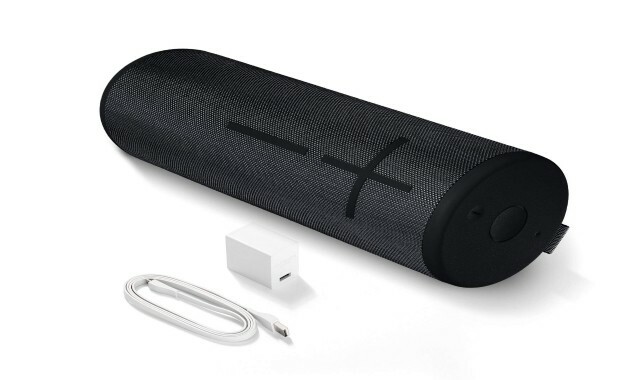 If you had to choose between the Fugoo Style XL speaker and the UE Megaboom, making the choice would be very difficult. The sound quality is pretty much the same, but our impression is that the Megabom is a bit louder than Fugoo Style XL and also the bass is slightly better. The speakerphone is great too. This speaker is also waterproof and it si claimed that it can survive after being submerged in water for half an hour. 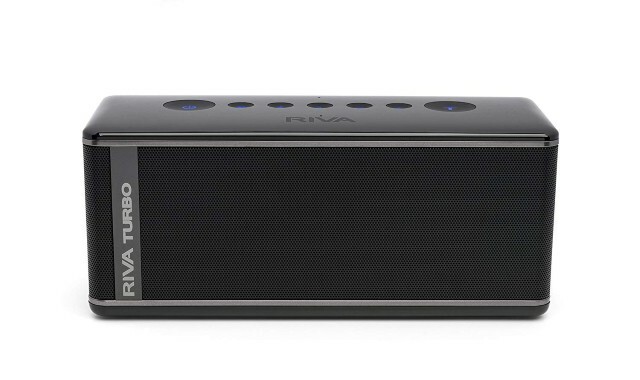 What made us thrilled were the following three features: speaker pairing, alarm clock, a hook you can use to hang the speaker somewhere (great for camping). You can read this great article on Audio Reputation by James Longman if you are eager to learn more about outdoor Bluetooth speakers. This speaker is pretty light which makes it ideal to be carried everywhere. On the other side we didn’t like the battery life which is drastically shorter than in Fugoo XL. But if you are looking to buy an all-in-one speaker for every occasion, this is an excellent choice. This Bluetooth speaker left a remarkable impression. With a simple gesture – waving over the speaker all of the controls become active, light up and ready for your next move. Playing music on this device sounds very good and it can get pretty loud when you put the volume to the max. But wait that’s not everything. When you hit the Turbo button, it gets louder than the maximum. Rather cool, right?